Muhammad Ateeb Aslam is young and fresh addition our UITA family. Mr. Ateeb is recording "IOT-frombeginners and maker" series. UITA team is very existed about this new great series. 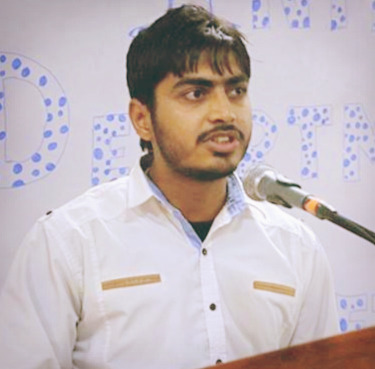 He is a fresh wave of new ideas in Urdu IT Academy. His keen interest is in developing IOTsolutions. He wishes to bring makers concept in Pakistan. He is IOT5x: Cybersecurity and Privacy certified. He keeps himself busy in doing research and freelancing on IOTsolutions. His hobbies besides IOT solutions and electronics are reading books, writing articles on societal matters and play computer games. He is also a good singer. We hope in near futureAteeb will bring some more interesting ideas and new projects toUITA. Urdu IT Academy welcome Ateeb and wish him good luck in his new role.